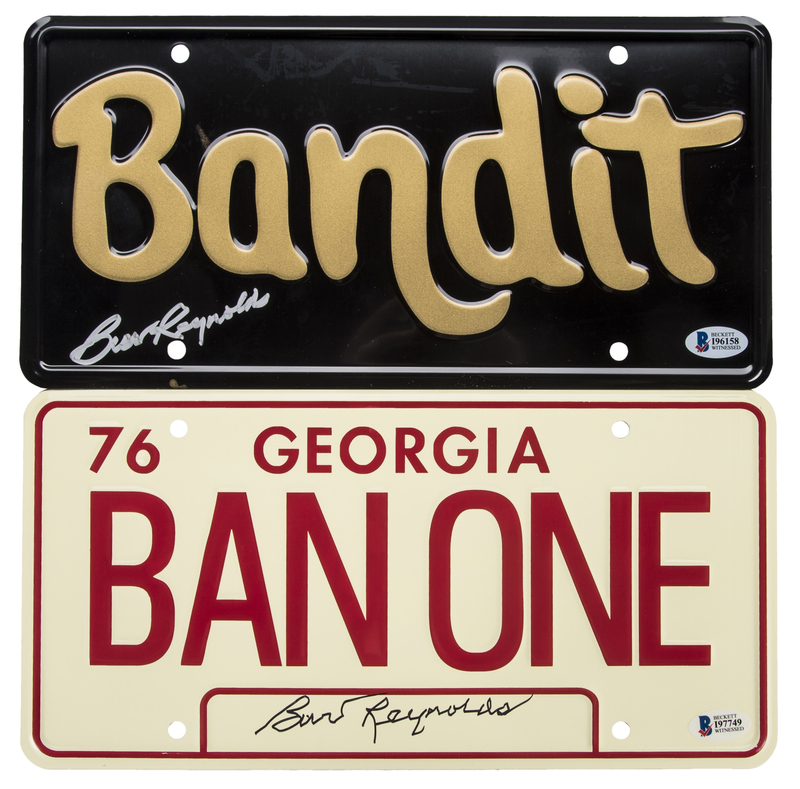 Offered here are two Smokey and the Bandit license plates signed by the late film star Burt Reynolds. 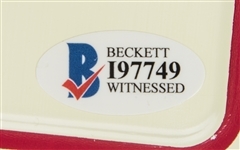 The first license plate, a cream-colored Georgia plate with “BAN ONE” applied in red letters, features Reynolds’ black marker signature. 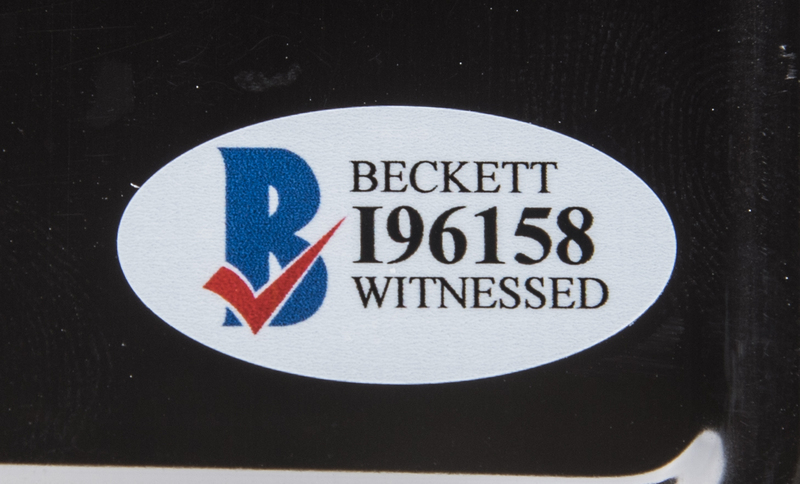 This license plate comes with a COA from Beckett Authentication Services (I97749). 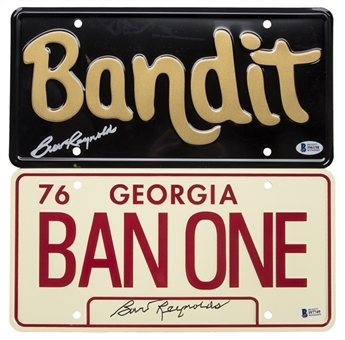 The second license plate is black and features “Bandit” in gold letters. Reynolds has signed this license plate in silver marker. 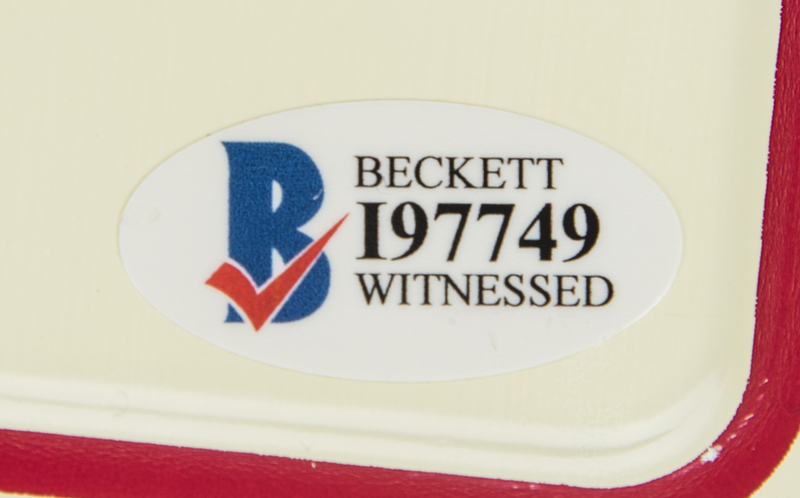 It is accompanied by a COA from Beckett Authentication Services (I96158).